Many GAA members and supporters hold special memories of games at Casement Park which have been held at the stadium since 1953 and as we look to a new era and a new modern stadium, we are excited at the prospect of Casement also becoming the home of Ulster GAA. This will be a facility the GAA community in Belfast, County Antrim, Ulster and throughout Ireland will be immensely proud of and a stadium that the next generation of young people will aspire to play in. 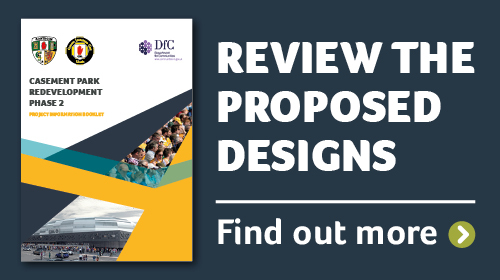 That’s why in March the Ulster GAA announced it was preparing a new planning application for the redevelopment of the Casement Park site. The new application will proceed after an extensive consultation which will assess the views of stakeholders in the vicinity, across West Belfast and further afield. Your input is welcomed as part of this process. The Community Consultation exercise will welcome the views of all stakeholders such as community groups, local residents, local businesses, schools, sports organisations and members of the public. Our aim during the consultation period is to obtain feedback on issues of importance from all stakeholders. To canvas opinion and encourage continued participation, the Ulster GAA will host a series of events and workshops that will run over a period of more than twenty weeks. 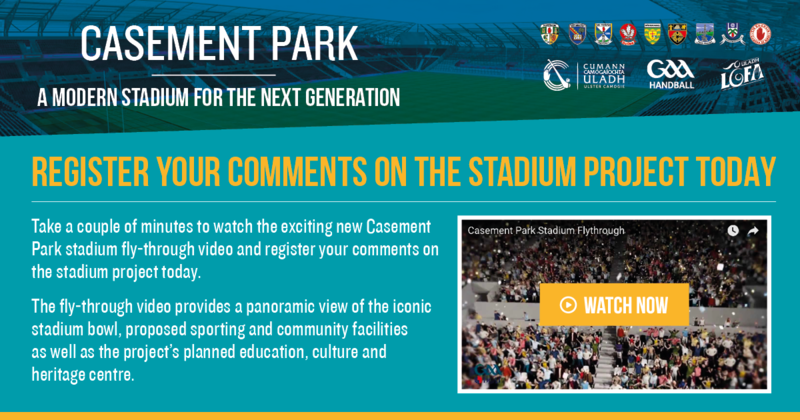 We will share our vision for the redeveloped Casement Park and work with stakeholders to maximise benefits while minimising the effects of the development. Stage 1: Initial contact with the local community to establish the stakeholder database, providing an introduction to the project and outlining the matters on which the views of the local community are sought to inform the design development. The information provided to the community will describe the key aims and objectives of the proposal, explain the preliminary work carried out to date and what the potential impacts of the proposal might be and how the consultation exercise fits into the planning and EIA process. Stage 2: Further public consultation events in phase 2 of the project development when the proposals and the EIA process are further advanced. The information provided to the community will include the proposed stadium design, and will demonstrate how evolution of the scheme has taken account of representations made by the community & other stakeholders, and been developed through the EIA process. from Friday 29 April (for 6 weeks). Conway Mill Tuesday 24 May, Glen Community Complex Wednesday 25 May & Andersonstown Leisure Centre Thursday 26 May. Submission of Planning Application and Environmental Statement following completion of Stage 2 PACC and any associated amendments to the project. The use of the Stadium for large scale (18,000 attendance) music events will be restricted by the seasonal nature of both the sporting calendar and the weather conditions which in effect will limit this use to not more than 5 days per annum.